This is the perfect time of year to get an outdoor Sport Court installed on your property. The weather is warm, the sun is shining and the number of activities you can play on a Sport Court are endless. Sport Court multi-use game courts are the perfect answer for families who want a variety of sports and activities available to them in one place. 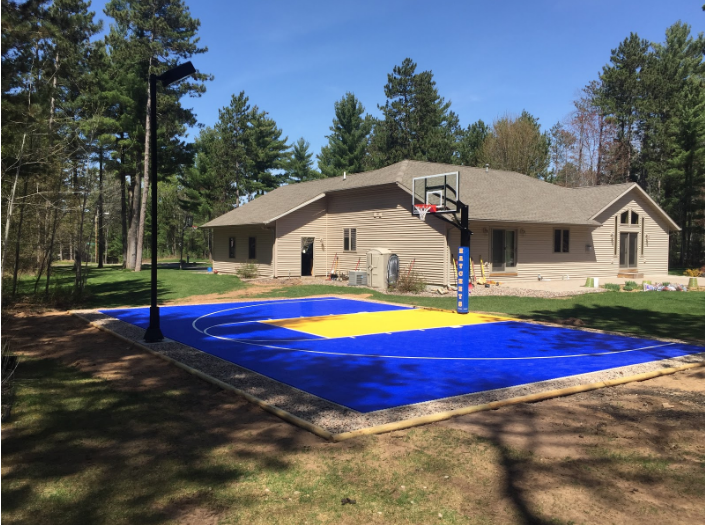 From a basketball court to over 15 games played on one court, Sport Court North and Sport Court Wisconsin can custom build a court just for you and your family. Some of the sports you can play on the outdoor court include paddle tennis, pickleball, quickstart tennis, badminton, volleyball, and basketball. Our vertical suspension floors react more like a gym floor than the hard concrete, are much more forgiving on your joints and will last for years in either Minnesota or Wisconsin. We carry a full line of options to customize the court and make it your own. We can personalize logos (we can easily do your high school or college team’s logo), lighting options (so you can play at night), ball containment and shooting aids. We suggest adding an adjustable SlamSystem, which is one of the best hoops you can buy. We also offer a full line of other quality hoops. A typical court takes three to four days to complete. You can watch a time-lapse video of the set-up process here. 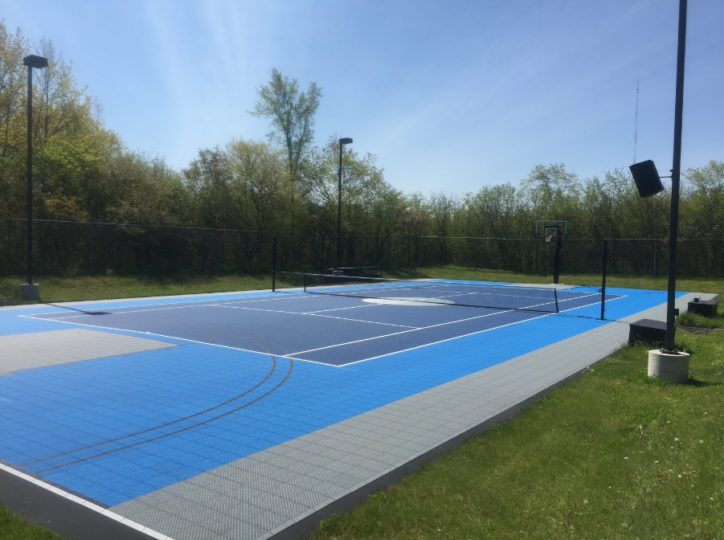 Some of our latest projects at Sport Court North and Sport Court Wisconsin have been very exciting to see come to fruition. Take a look at some of these great customized courts that we’ve completed in 2016. This family in Farmington, Minnesota, went all out with this logo for Farmington High School. Go Tigers! 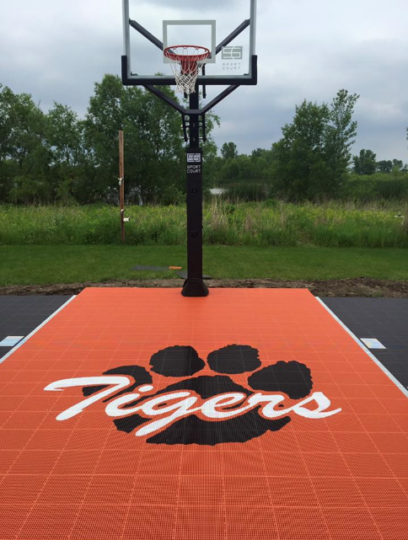 Our last court was installed in the woods of Tomahawk, Wisconsin. What a great setting to practice your game during the summer! 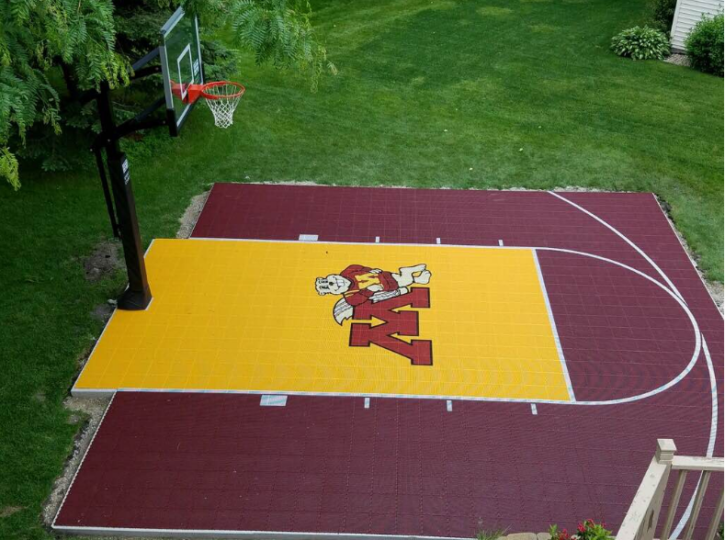 Sport Court North and Sport Wisconsin are the official Sport Court builder for Minnesota and Wisconsin. Contact us today in Minnesota or Wisconsin for friendly, hassle-free estimate. 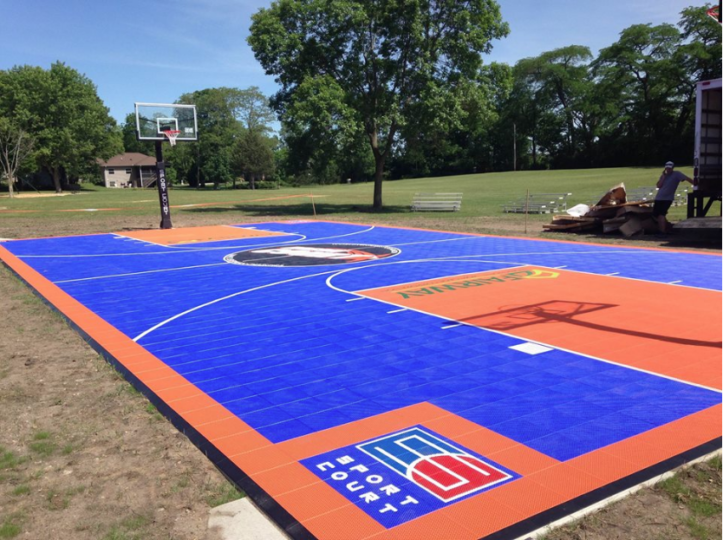 We custom build every court to fit your yard, your budget, and your sport.